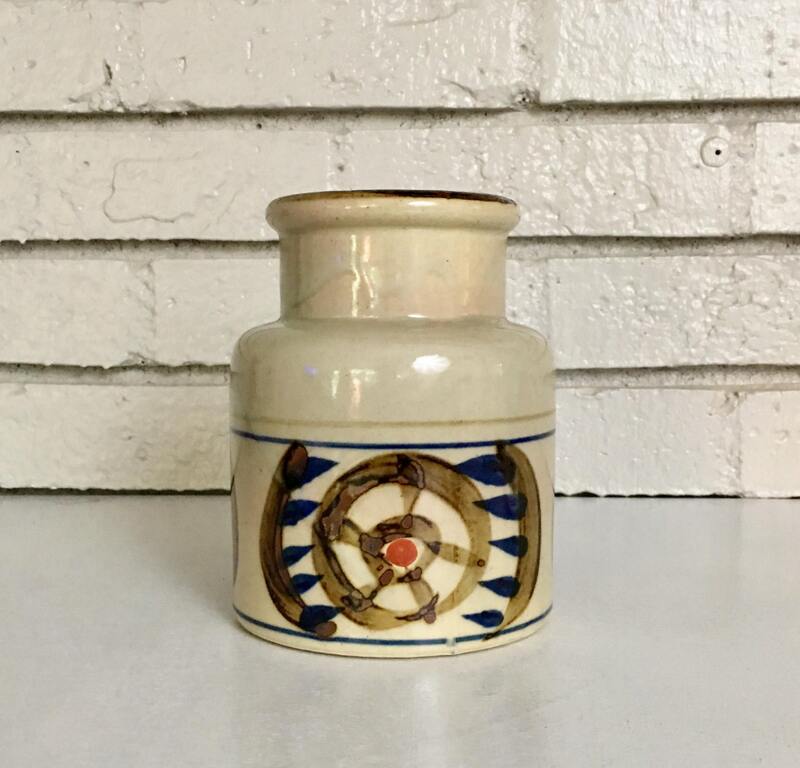 Vintage piece of Nagoya stoneware. 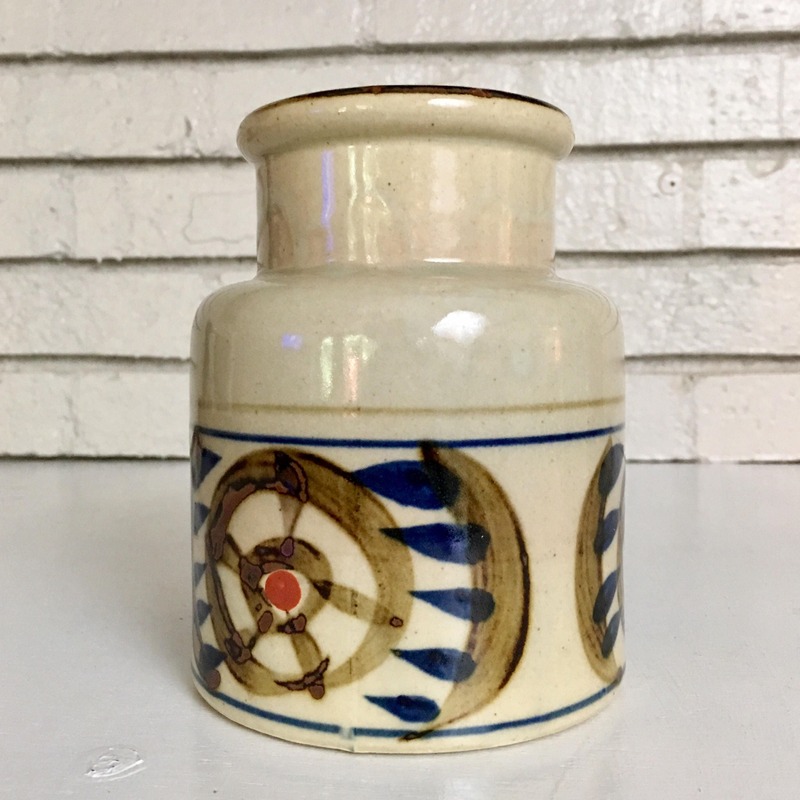 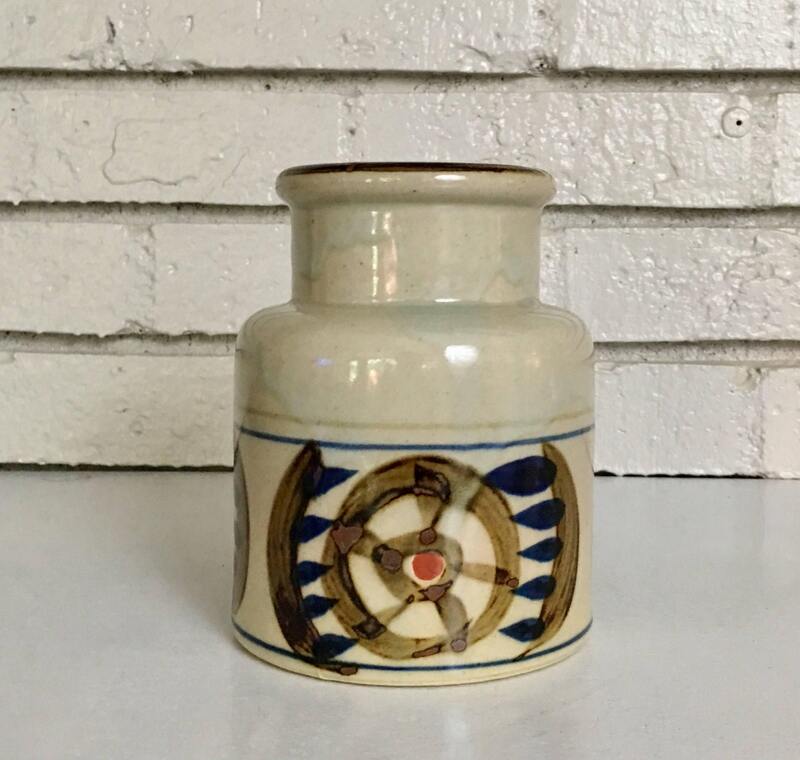 Small vase glazed in blues, oranges, and browns and in excellent vintage condition. 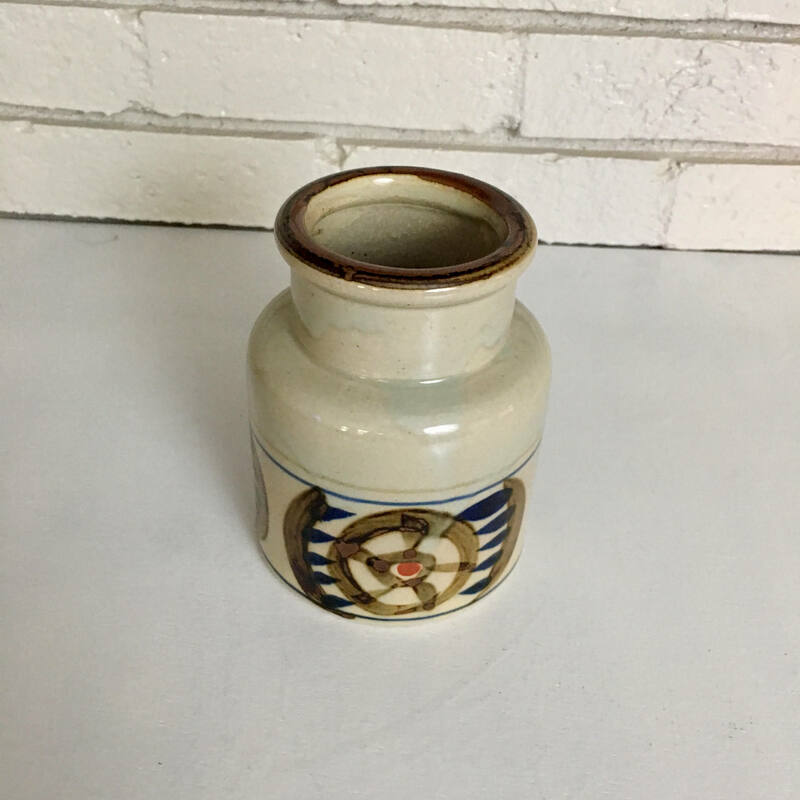 The sticker on the bottom reads "Nagoya Japan National Silver Co. Genuine Stoneware Hand Craft." 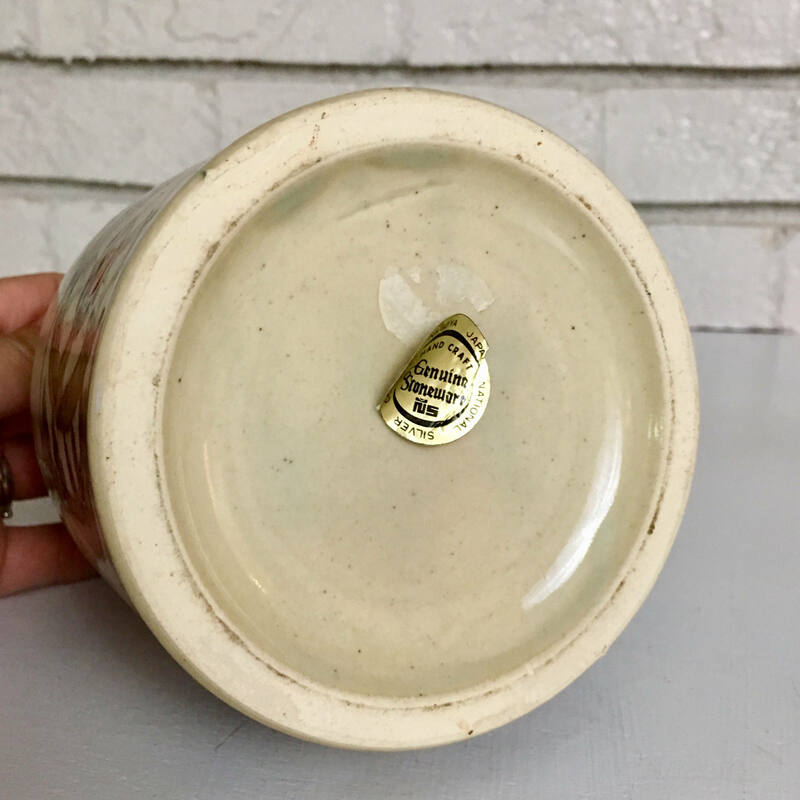 + Each plate weighs 15 oz.